The Great Escape | Official site of The Great Escape: a collective of film makers, writers and comic artists that refuse to grow up. The Flesh Angel goes out with a bang in the series' finale! Making films is flipping expensive. Please donate to our fund for the starving artists of The Great Escape! Gabriel and Melanie investigate the supernatural goings on at a local theatre, whilst equally trying to avoid getting everyone killed! 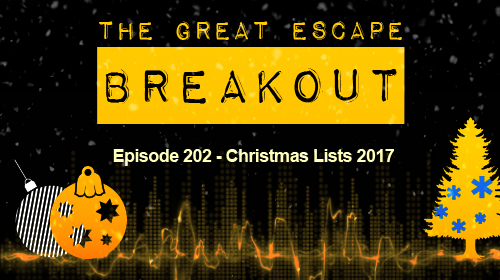 An illustrated anthology of escapist fiction featuring content from the Great Escape website and brand new contributions. Animation let down… activate Plan B! While we were anxiously waiting for feedback on the latest edit of the film, we received some bad news. The animator who was working on the animated segment of the film has dropped out. Unfortunately we’ve been the victims of someone saying they’re doing something and stringing us along with promises, only to disappear off the face of the earth when it got close to deadline time. Unfortunately this has left us back at square one with regards the animation. It’s one of the perils of indie film making, and one that happens all too often. On the up side, we have a back up plan which we’re already putting into action. We’ll keep you posted. Feedback began to trickle in and most of it was positive. Where there were constructive points of criticism we’ve tweaked things here and there. An almost complete version of the film now exists! We’re not calling this a picture locked version just yet but focus has now shifted from the basic picture editing to the more involved post production work of visual effects, title graphics and of course sound and music. We’ve had some first samples back from composer Hans Hess and they’re very impressive (if we do say so ourselves). In the next update we hope to bring you a sample “work in progress” clip. W’d hoped to be a little further along with the score by this point, but having heard some of what Hans is producing we’re glad he’s taking his time over it and not rushing to produce something as fast as possible. At the end of the day we want it to be the best it can be. Nevertheless progress is steady and, better yet, our investment in some new technology has reduced our need to re-record any problem dialogue to only a few lines here and there. At this point, completion in 2016 is no longer possible. Live recording for elements of the sound track won’t be until late November, and sound post production looks likely to run on a little bit due to personal commitments. We’re also keen to test screen the film as soon as a final draft is complete, and we may want to make changes based on the feedback from the test screening before we exhibit the film more generally. However, we are on track for completion early in 2017, just in time for the 2017 festival season. Something else we’ve been working on is compiling the DVDs for the other Gabriel Cushing titles ready to fulfil the Kickstarter rewards and for use as part of the wider promotion of Gabriel Cushing in the run up to the release of Carnival. hose of you who backed Gabriel Cushing at the Carnival of Sorrows on Kickstarter can head over to our project page to see a selection of behind the scenes photos and screen shots featuring the Painted Lady. We thought we’d share a couple of teasers here too! Technical issues with the sound have taken longer to resolve than planned (booo), but are now (fingers crossed) sorted (yay!) This means we can finally finish work on the assessment and planning for ADR recording. But, while we have been stuck unable to progress on this part of the sound work, we have started work on building ambient sound profiles for the different locations. Edits to the much anticipated second cut have been progressing. We’ll soon have a second draft ready for more feedback. 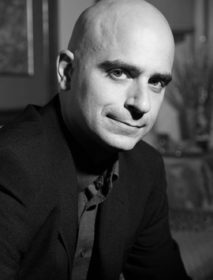 Credits lists for the Cast and Crew are now up on GabrielCushing.com, so you can check out who was involved on set and in production. There will be a few names to add at a later date, plus you can look forward to our “Special Thanks” credits section going live in the next couple of weeks. There’s also a few new pics in the galleries. The post production delays have set us back some way, but we are working hard to make sure nothing else gets in the way and we recover as much lost time as possible. 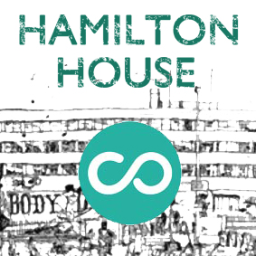 Today’s featured Follow Friday is Hamilton House, a community arts center in our local city of Bristol. The office block in Stokes Croft, Bristol had been vacant and neglected for many years, when, in 2008, owners Connolly and Callaghan invited Coexist to create a community centre for art and collaboration. 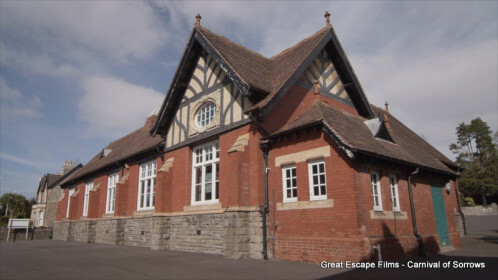 The centre provides working space for artists, illustrators, crafts people, film makers and other creatives and community groups. There are over 200 individuals and businesses currently hosted at Hamilton House, which also has meeting and conference rooms, event spaces and studios available for short term use. Hamilton Hub provides hot desk and co-working facilities for freelancers. 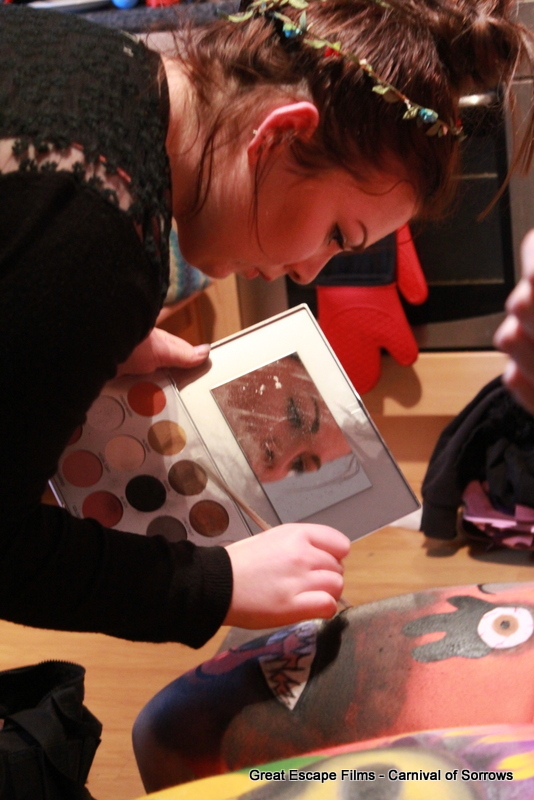 Many community groups host workshops and classes at the site, making it a great place to get involved in creative pursuits. Check out the What’s On section of the Hamilton House website. House has been the venue for many Bristol based film making events, including Moviement organised by Bristol Film in 2014. Follow Coexist and Hamilton House on Twitter (@CoexistCIC) or Facebook (/coexistcic) for more info about their events and facilities. 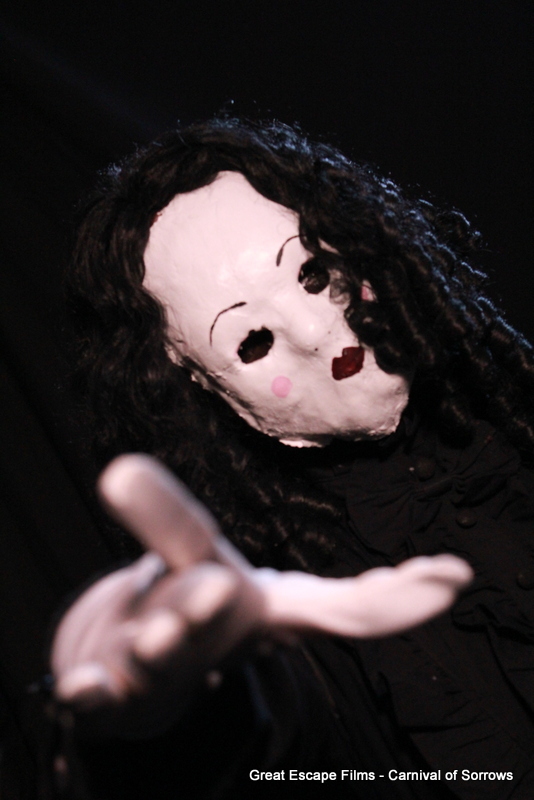 Welcome to this fourth update on the post production progress of Gabriel Cushing at the Carnival of Sorrows. We’re knee deep in revisions at the moment! Editing work on draft two of the film is well under way, with the aim of cutting the length down to under 2 hours and improving the pace and tension. Once draft two is complete, we’ll be sending it out for more feedback. We’re also moving forward with sound production and assessing which dialogue we need to re-capture with ADR. Once the assessment is done we can start visiting the crew to record what we need. If the tension is killing you already, you can satisfy your Carnival cravings with the new screen shots gallery over on GabrielCushing.com. We’ll be adding more photos and screen shots over time, so make sure you check back! Also, later this week the cast and crew credits lists will be going live, so you can nose around and see who was involved in the production. Be sure to follow us on Facebook and Twitter for announcements between updates. With the website now live, we’re starting work on press kits to promote the film when it’s finished. There will be both printed and digital press kits, featuring key information about the film, the principal cast and the production team. The press kits are due for completion by the end of April, so we’ll keep you posted. Kickstarter backers can head over to our campaign page to see an extended update with exclusive screen shots and behind the scenes photos from one of our favourite locations for the shoot; Clevedon Library. 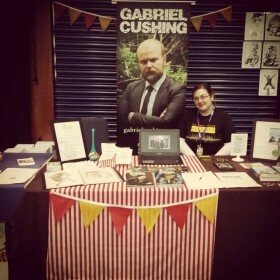 The Gabriel Cushing website has undergone a mini makeover! There’s now a brand new section for Carnival of Sorrows with new behind the scenes photos and character profiles for you to check out! Over the next few months leading up to completion of the film, we’ll be adding more content to the site; pictures, character info, trailers and more. Meanwhile, what else have we been getting up to? Work is progressing on refining the edit. We’re starting to get feedback in from our editing consultants and we’re working on integrating it all. There’s some tough decisions to make but the result will be a polished and perfected movie! We’ve received the first storyboards from our animator which is super exciting! In our next update we might even be able to share an exclusive sneak peek. Of course, while some of the team are working on the sights and sounds, some of us get to work on less glamorous but equally vital tasks like putting together the credits and press release content, both of which are progressing. 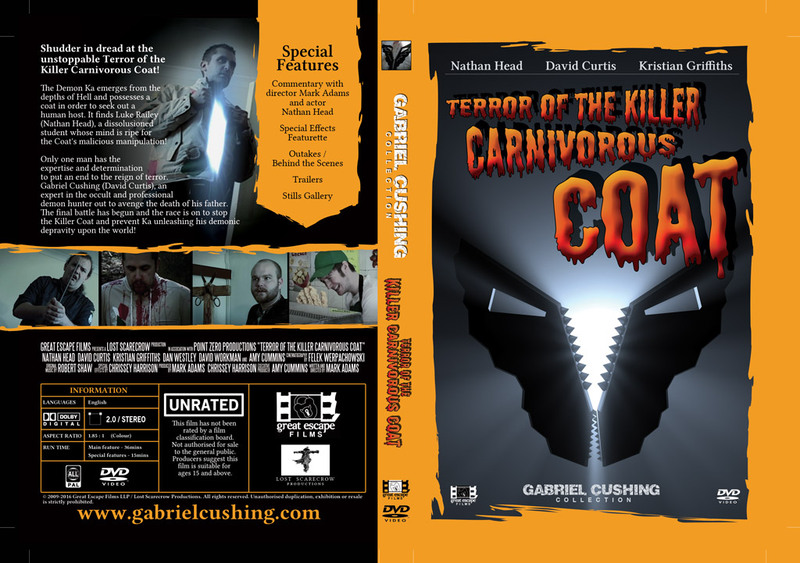 In our next update we’ll be revealing the full cast and crew credits list on gabrielcushing.com. Kickstarter backers can check out our latest backer only update for some new exclusive screenshots of The Man of Many Faces. The Rare Horror blog provides news, reviews and recommendations for horror movies. They love all kinds of horror but have a real passion for lesser-known 80s titles, foreign, independent, cult and B-movies. Based in Calgary, Canada, the team behind Rare Horror dredge up loads of vintage and cult clips, commercials and artwork from the depths of obscurity. They’ve also recently established a store on Spreadshirt where you can order their awesome horror themed T-shirts. 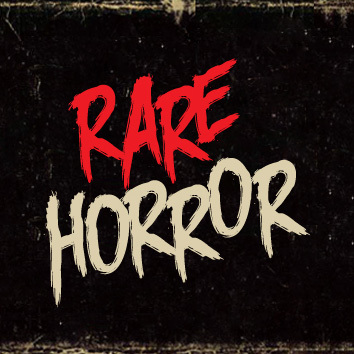 Follow Rare Horror on Twitter (@RareHorror) or Facebook (/RareHorror) to get notifications on all their blog articles, plus loads more rare and obscure horror stuff. They post a lot of artwork, comics and pictures of cool memorabilia, so if you love horror this is definitely somewhere to get a daily fix. While work progresses on the animation, sound design, music and other post production tasks for Carnival of Sorrows, we’re working on getting the word out about the film! The more enthusiasm we can generate among our fans the better our chance of securing an exciting distribution deal. And how are we doing that, you ask? In our next update you can look forward to the reveal of a brand new section to GabrielCushing.com, dedicated to Carnival of Sorrows. There we’ll be collecting together all the photos and trailers for the film and you’ll be able to explore cast lists, character profiles and more. The only thing you won’t find there is exclusive backer only content, which will be shared through these updates. We’re starting up a new email mailing list for interested fans to get updates straight to their inbox! All of our Kickstarter backers will be automatically added, but you can easily unsubscribe if you prefer to get your updates a different way. The first email will be going out alongside our next Kickstarter update. If you’d like to help spread the word, share this link to direct people to sign up for email updates. We’ll be updating and improving our social media pages. There will soon be a new Facebook Page for Carnival of Sorrows and you’ll see an updated look for our Gabriel Cushing Twitter account. 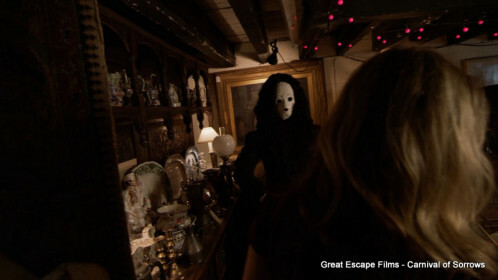 The Great Escape is also on Instagram, Tumblr, Google+, YouTube, Vimeo, Dailymotion and Soundcloud. We’ll be giving away Carnival of Sorrows merchandise to our social media followers and fans in a series of promotional contests. Kickstarter backers are welcome to take part, so make sure you follow us on Facebook and/or Twitter. The first is running right now and will be drawn on Friday! Kickstarter backers can head over to Kickstarter for an extended update including exclusive behind the scenes pictures of how we created the world of the carnival. It has been a while since we posted any news about our big upcoming project Gabriel Cushing at the Carnival of Sorrows, but things are about to change, big time! After a few set backs in 2015, we can now confirm that Carnival of Sorrows is back on the road to completion in 2016. 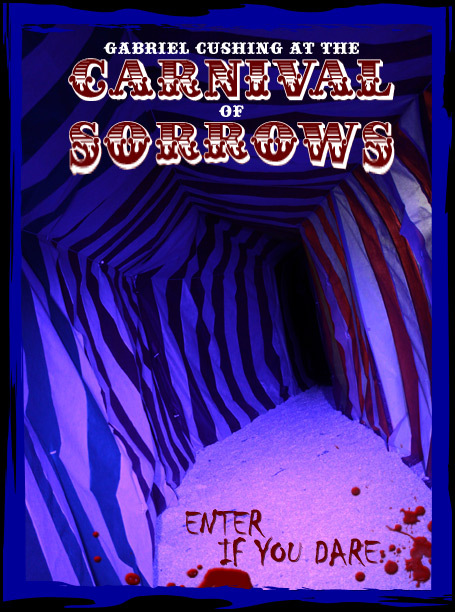 Carnival of Sorrows will no longer be produced as a web series; instead it will be a full length feature film! We came to this decision slowly, over the course of the production. The budget swelled and with it the ambition and production values, and we realised it had grown beyond a short format series. This means we won’t be releasing it to viewers for free via a digital platform like YouTube. Instead we’ll be seeking a distribution deal which will hopefully see Carnival of Sorrows released on digital subscription services like Netflix or Amazon and/or on DVD/Bluray through conventional retail channels. What have we been up to and what’s new? In the latter half of 2015 the stars finally re-aligned and we were able to shoot the missing scenes we hadn’t been able to get during principle photography in 2014. Editing is complete on what we’re calling the “First Draft” which succeeds the “Rough Draft” we had before. 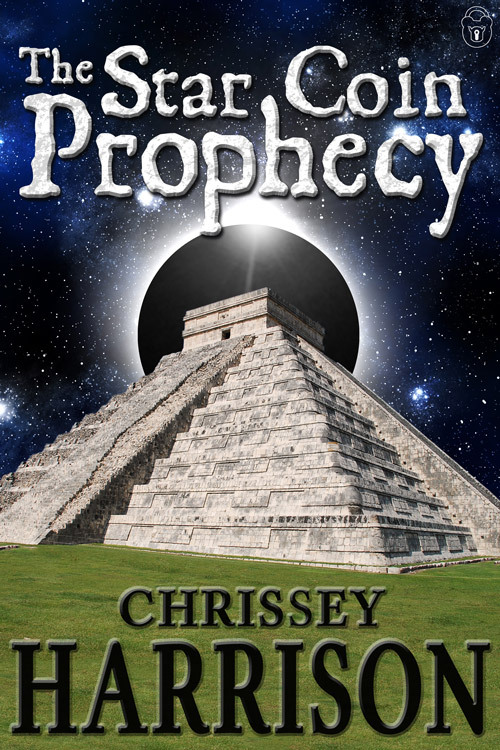 This version is now being sent out to consultants in the indie film industry for feedback. That feedback will help us to produce a much improved second draft which we’ll then take forward with sound, music and visual FX post production. We’ve lined up an animator to illustrate “Jenny’s Story”, a scene where she recounts a local legend to Gabriel. Soundtrack artists/composers are submitting pitches and we are moving forward with selecting one to produce the complete score. Our sound designer is working on compiling all the sound effects and dialogue pickups we need. And, while all this post production work is going on, we’re also preparing submissions for festivals. 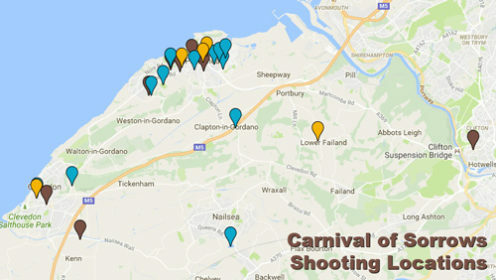 Carnival of Sorrows will hopefully be debuting at a festival this autumn, although that’s all we can reveal right now. Most importantly we’ve mapped out our route to completion. We’ve got everything planned from now to the day when we can announce that the film is finished. You’ll be able to follow along with our progress in fortnightly updates. Kickstarter backers can look forward to exclusive content; clips from the film, early access to trailers, behind the scenes photos and more, via the Kickstarter page.